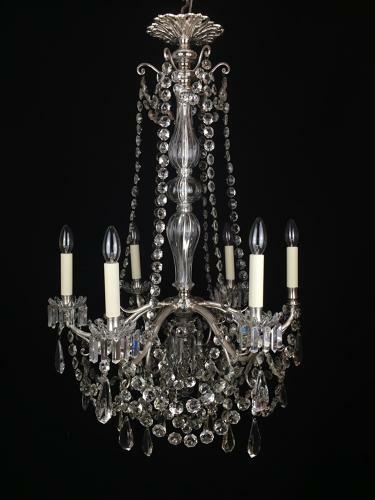 An exquisite, silvered, former gassier chandelier. the six arms of light scrolling from a cut glass column, hung with swags of crystal buttons and Albert drops, finished with a solid crystal ball. English, mid 19th century.